Golf & Ski Warehouse is proud to partner with The First Tee of New Hampshire to promote junior golf and the life skills curriculum. Through The First Tee’s 9 Core Values and 9 Healthy Habits, thousands of kids throughout New Hampshire are exposed to life and leadership skills through the game of golf. Please visit www.TheFirstTeeNH.org to learn more about this important program and to see how you can help. 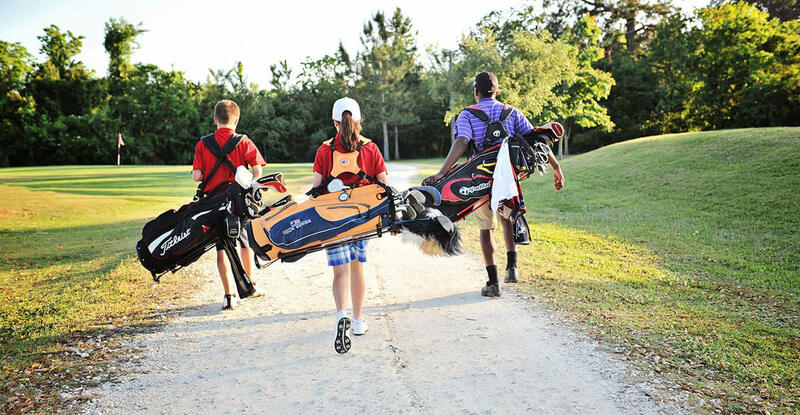 Whether it is through a donation, volunteering to help coach or enrolling your child in The First Tee program, you can help shape the lives of the next generation through character building and life lessons. 7 DRIVE Programs – serving over 2,000 young people annually through youth partner organizations such as B & G Club and YMCA. Our 9 Core Values: Honesty, Integrity, Sportsmanship, Respect, Confidence, Responsibility, Perseverance, Courtesy, Judgment. All young people should have access to safe places outside of the school environment to engage, learn and grow under mentorship of caring adults. Clubs/ Equipment – Click Here! Donate to The First Tee of NH!